I took this in the jungle surrounding Rio de Janeiro. 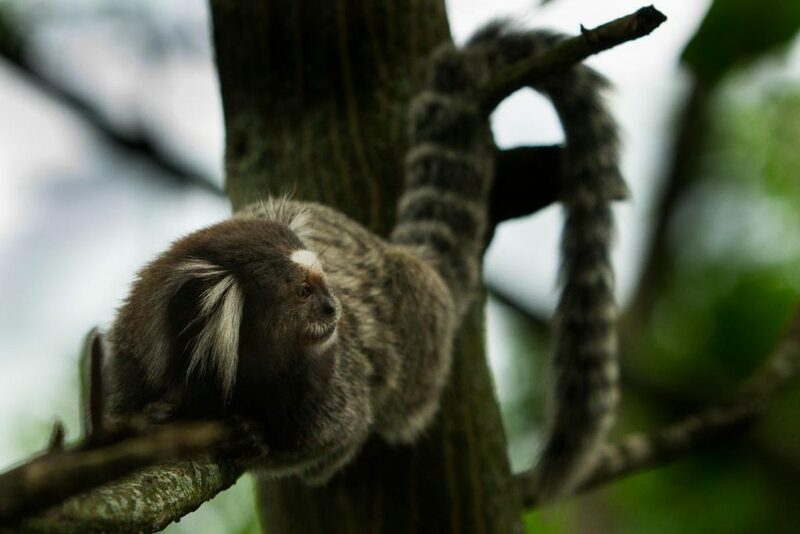 The marmoset was dosing in the tree, looking up every so often when there were noises in the surrounding forest. I love the shape of the tail draped over the tree in the background.